Come spring, Louie Wurch’s mind turns toward softball and another, less idyllic seasonal phenomenon: brown tides. Both scientist and shortstop, Wurch spearheaded the creation of the Biology Department’s team in the Woods Hole Oceanographic Institution (WHOI) softball league. They are known as the Redfielders, after the Redfield Laboratory, which in turn is named after Alfred Redfield, an early WHOI biologist renowned for his pioneering research on phytoplankton. These single-celled marine plants also happen to be the focus of Wurch’s research. Phytoplankton are like the grass of the sea, providing the foundation for the ocean’s food web as well as about half the oxygen in Earth’s atmosphere. The same warm temperatures and sunlight that bring biologists out onto the baseball diamond also stimulate phytoplankton to bloom in the ocean. 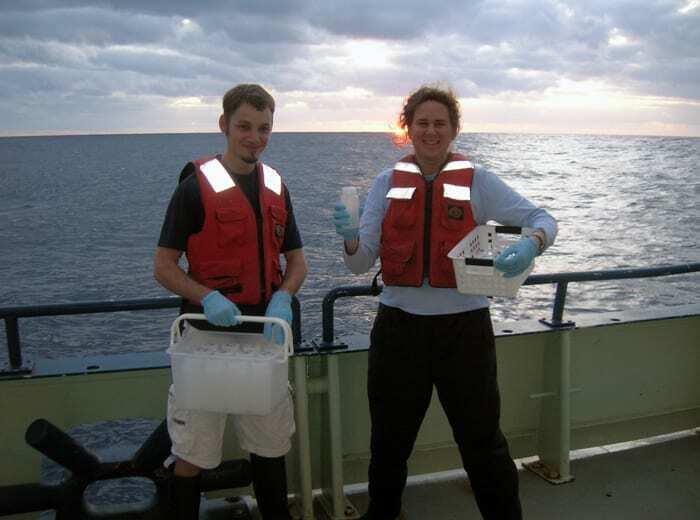 “But not all phytoplankton are good,” said Wurch, who earned his Ph.D. in the MIT/WHOI Joint Program in Oceanography in 2011 under the supervision of WHOI biologist Sonya Dyhrman and stayed on in her lab as a postdoctoral scientist. Some marine algal blooms, often called red tides, produce toxins that accumulate in shellfish and cause illness in people who eat them. Then there are brown tides caused by algae like the one Wurch studies, Aureococcus anophagefferens. In estuaries on the U.S. East Coast, these algae can reproduce so rapidly and densely they overwhelm the ecosystem, turning the waters brown, blocking out sunlight, and killing sea grass and the juvenile shellfish that live there. Brown tides have caused collapses of the shellfish industry around Long Island, N.Y., at a loss of millions of dollars each year. What causes them? Why are they becoming more frequent? What can we do to prevent them or mitigate their damage? To answer those questions, scientists need to understand what’s going on—not only in the estuaries, but also within the algae themselves. To do that, Wurch has taken advantage of rapidly developing techniques to peer into the molecular workings of algae’s DNA, RNA, and proteins under changing environmental conditions. Just like plants in gardens and lawns, phytoplankton need nitrogen and phosphorus to grow. These nutrients are often scarce in the ocean, but rising human populations and development along the coast have increased fertilizer and sewage runoff, adding excess nitrogen and phosphorus to coastal waters. 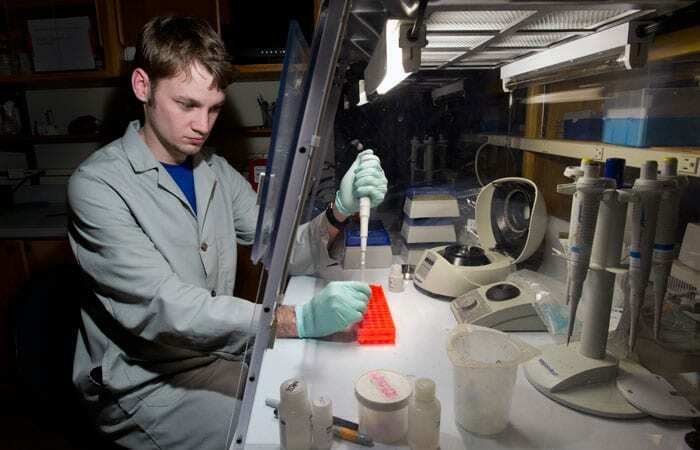 In 2007, a team headed by plankton ecologist Chris Gobler at Stony Brook, New York, sequenced the A. anophagefferens genome, its entire set of genes. It was the first species of harmful algae ever sequenced, and Wurch compared the alga’s genes to those of other organisms. But Wurch needed to know not only what genes the brown-tide algae cells have, but also which ones they employ in particular situations. “The genome is the toolbox,” he said. “Different species have different sets of tools, and when we look at the genome, we’re looking at every tool the species possesses, which gives us a broad look at what they are potentially able to do. But if you want to look at what they’re actually using, you look at the transcriptome.” A transcriptome is the set of all messenger RNA molecules that have been transcribed, or copied, from genes to set in motion the process of manufacturing proteins. First, he cultured algal cells in the lab, supplying nitrogen and phosphorus. Wurch extracted the messenger RNAs and matched them back to their genes—in this way identifying the exact genes the algae activated to cope with low nutrients. The research revealed that A. anophagefferens had genes that allow it to create proteins that transport organic forms of nitrogen and phosphorus into the cell. Most phytoplankton generally prefer and rely on inorganic forms of these nutrients. This helps explain how brown-tide algae can outcompete other phytoplankton and overwhelm an ecosystem, he said. It also suggests why brown tides have become more prevalent: Outflow from sewers and septic systems is increasing, and it is rich in organic forms of nitrogen and phosphorus. To probe further, Wurch explored the RNA and proteins produced by the activated genes. He repeated his experiments, first taking away phosphorus. This activated genes that make the proteins that are involved with phosphate scavenging (scavenging is a term used to mean phytoplankton cells obtaining scarce nutrients from their environment). Then he re-supplied phosphorus, removing cells’ need to activate those genes, and examined how quickly the messenger RNA and protein levels declined. Stopping the experiment at various time intervals, he found that the messenger RNA disappeared a few hours after phosphorus was re-supplied, but the proteins persisted for 24 hours. “So if I go into the environment now and find the messenger RNA for these phosphate scavenging genes for A. anophagefferens, that tells me something different than if I see the proteins produced from this messenger RNA,” Wurch said. The former might indicate that A. anophagefferens is deficient in phosphorus right now, while the latter might indicate a longer timescale of phosphorus deficiency, including both a cell’s current state and a prior history of phosphorous deficiency during the bloom. 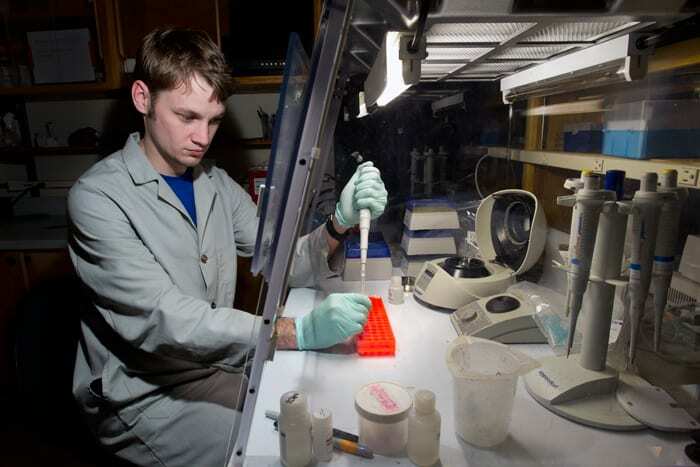 All this painstaking lab work was the core of Wurch’s Ph.D. research. Working with Dyhrman, he created molecular markers—genes, RNA, and proteins—that they can take into the field to reveal the intricacies of what’s going on during brown tides. 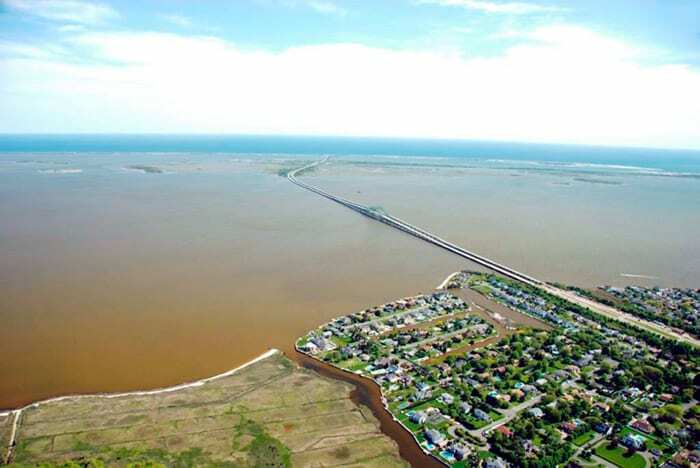 Such information will hold keys to figuring out ways to mitigate brown-tide blooms, he said. Growing up in California, Wurch studied science in college, at first thinking about becoming a veterinarian before switching to marine biology. Then he took a genetics class with a professor who changed his life. 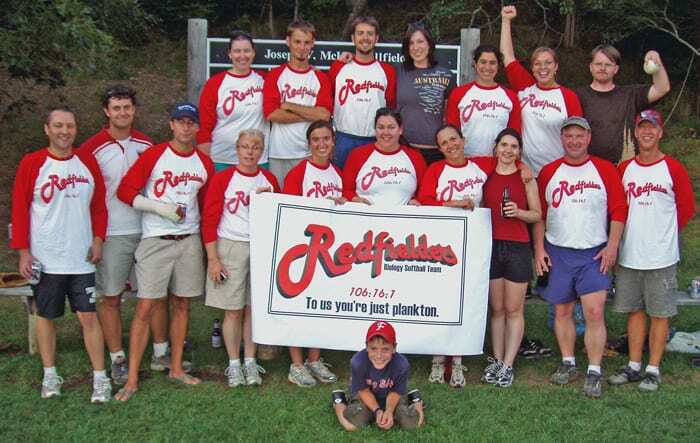 He contacted the WHOI league’s organizer “and told him that I wanted to try and recruit enough people so that Biology could have its own team.” Thus began the Redfielders, whose roster now overflows with biologists who take their recreation seriously. Unlike most teams in the league, they sport eye black (as much for fun as sun glare) and T-shirts emblazoned with the team’s name. When it came time for Wurch to deliver his thesis defense in 2011, his teammates backed him up. Wurch continued to coach the Redfielders for his seventh and final season. He will soon take a postdoctoral position at Oak Ridge National Laboratory in Tennessee. He’s already checked out the softball league there and met the coach. His last game as the Redfielders’ captain is Wednesday, against the team from the WHOI Geology and Geophysics Department. This research was funded by the National Oceanic and Atmospheric Administration’s ECOHAB program, the National Science Foundation, the Environmental Protection Agency STAR Research Assistance Agreement, the Adelaide and Charles Link Foundation, and the WHOI Coastal Ocean Institute.